Now I've posted all my older stuff and time for my most recent drawing. It was just something I started off of a random sketch I had laying around in one of my folders. 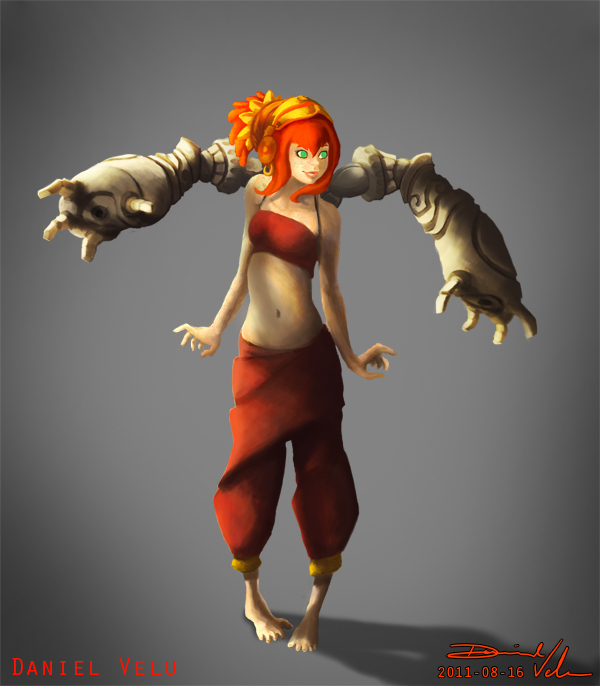 I drew her for my personal project as a part of a race I named the Dravideans. Zoe, as I call the character, is deformed in the Dravidean society because they are normally born with 4 arms. Zoe only got 2 which is why she decided to build herself a pair of her own steam driven arms seeing as the Dravideans tend to work a lot with machines. I'm not sure how she lost her arms yet. Either it was an accident or she just got born without them, not sure yet.